This is a sad day indeed. But still, it's a joyous one too, because we get to celebrate the career of a man who is arguably the greatest animator who has ever lived. Studio Ghibli has announced that after 20 directed feature-length and short films, Hayao Miyazaki's final directed feature film will be THE WIND RISES. He is retiring after a grand, glorious film career that spans 5 decades, and who has influenced countless filmmakers across the planet. He's stated his intent to retire before, but this time it was announced at the Venice Film Festival by Studio Ghibli president Koji Hoshino. There is still a possibility that Miyazaki will work on smaller ventures or other artistic projects. SPIRITED AWAY won the Best Animated Feature Film Oscar in 2003. Hayao Miyazaki told stories of such incredible warmth and beauty, often hand drawing many of the frames himself, but never forgetting that the driving force behind every movie has to be a good story. He filled his films with such realistic characters, as well as incredible visuals. Even the villains of his films were complicated creatures - nothing was as simple as black and white. 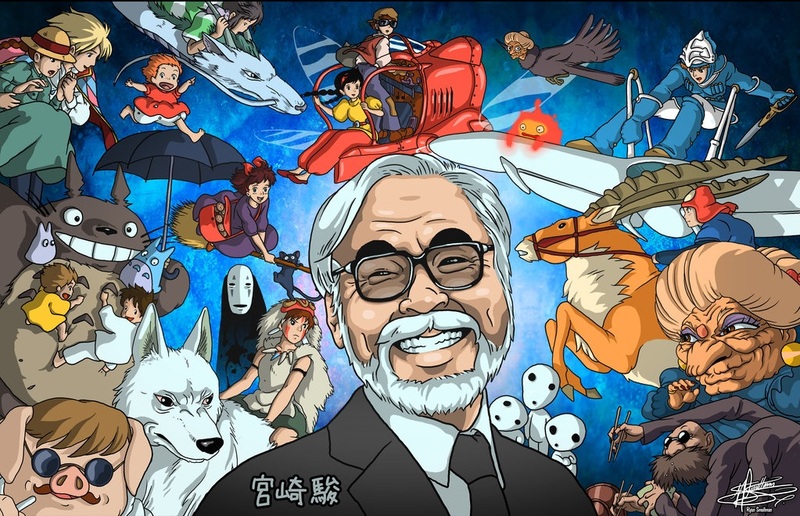 Miyazaki painted a world with intricate strokes, creating something that families could enjoy but never shying away from the more sophisticated aspects of life, either. There's always magic in a Miyazaki film, and he brought to life such beauty and splendor that it made you ache to look at it. My personal favorite Miyazaki is PORCO ROSSO. It's just so fun, and Miyazaki shows his love for flight and airplanes in it, but it's also got one of his singularly best characters - the world's greatest pilot, who also happens to be cursed into the shape of a pig. It's silly, sometimes nonsensical, but always engaging and adorable. One of my favorite things about Miyazaki's films is that he created such compelling women characters; characters that my daughter and many other girls the world over could embrace. I can't wait to see THE WIND RISES, a boldly anti-war film and a brave film to go out on. There was no subject Miyazaki didn't put his own personal stamp on, and he showed no fear once he committed to a project. Perhaps he'll stay on as long as he can in production; I can't imagine someone like him putting down the pencil forever, even at his age. Let us celebrate the architects of dreams.